Dnipropetrovsk is a regional center in Eastern Ukraine. One of the main attractions this village has for many decades had been the children's railway, acquainting children with the railway professions. And Dnepropetrovsk is the fourth largest in Ukraine in terms of population — it is home to more than 1 million people. The fastest way to get to your destination, fly flight "Moscow — Dnepropetrovsk". From Domodedovo airport cruise ships airlines "Transaero" and "Dniproavia" from Sheremetyevo — Aeroflot and UTair. To Dnepropetrovsk can be reached by long-distance train. Every day from Kursky railway station of the Russian capital take trains "Moscow — Dnepropetrovsk". Train No. 015Г travels this route daily, No. 187Щ — on even days, and No. 217Ж — odd. On the train to Dnepropetrovsk can be reached within 17 hours and 10 minutes. Some reach Dnepropetrovsk in the "Moscow — Kharkov", which is every two days, departs from Kursky station. After arriving in Kharkov it is necessary to change on the stop "Railway station" bus number 48 and go to station "Dnepropetrovsk. The main bus station". It is possible to get from Moscow to Dnepropetrovsk on the bus. On this route the area of the Kursk station once a day leaving the bus. The main disadvantage of this flight — he often canceled because not gaining the required number of passengers. 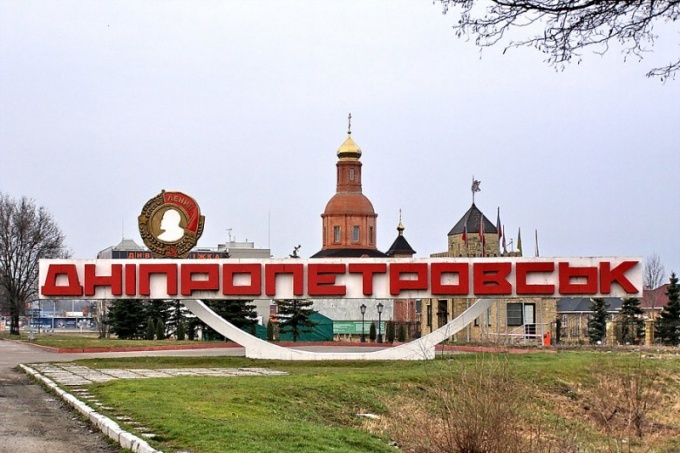 Also once a day a bus "Moscow — Dnepropetrovsk" departs from the Shchelkovo bus station. The road will be spent approximately 15 hours and 30 minutes. Going to Ukraine by car, you have to take the motorway M-2 and follow through Tula, Kursk and Belgorod. After the Russian-Ukrainian border, follow the highway E-105 in the direction of Dnepropetrovsk. Travel time will be approximately 14 hours 30 minutes without traffic and stops on the roads. There is another way to Dnepropetrovsk through the territory of Belarus. Follow the highway M-1 "Belarus", you need to take a pointer to Bryansk and reached the Russian-Belarusian border. After this we need to pass the Gomel and on the territory of Ukraine to pass by Kiev and on the highway M-05 to get to Dnepropetrovsk.